Senate President Bukola Saraki has been cleared by the Department of State Services (DSS) for the second time over alleged ownership of the N310 said to have been stolen from his house. This is coming after an ex DSS staff Abdulrasheed Maigari, who was dismissed and is being prosecuted for armed robbery following the incident in November 2015, alleged that he and some Army and DSS personnel stole the money from Saraki’s house in Abuja. Maigari was arrested last week in connection to the kidnap of the Chairman of Gateway Insurance, Alhaji Isa Ozi Salami. I was enlisted into the DSS in 2011 with the rank of a Senior Intelligence Officer 1. I served in operations department at Gombe and Osun Commands of the DSS before my dismissal in 2015. Before I was dismissed, I was posted to the home of the Senate President, Bukola Saraki, in Maitama and in November 2015, I can’t recall the exact date, three vehicles brought in the N310 million into the compound and the Army Captain who was on ground that day ordered that we should take the money away because he suspected the money was government money which could have been wrongly appropriated and could, therefore, be taken. We were four DSS operatives and four army officers involved and we drove the three cars to a house in Suleja where the money was shared. I got N30 million and I bought a car and took it to Kaduna State where I hid the rest of my share. But on November 28, 2015, I was asked to report at DSS headquarters and when I got there, I was interrogated over the theft and detained for five months, dismissed and charged to court. The story making the rounds that the sum of N310 million belonging to the Senate President was stolen in 2015 is a malicious falsehood. From our investigation, the money in question did not belong to the Senate President or any member of the National Assembly for that matter. The investigation conducted by the DSS and the confessional statement made by Abdulrasheed Maigari, a suspect in the case, did not support this claim at all. Maigari’s recent claim in the media is nothing but a made up story to achieve a hidden motive. Saraki’s media office on Sunday, refuted the claim that the N310 million was stolen from the house of the Senate President. In a statement signed by Sanni Onogu, Chief Press Secretary to Saraki, he said that the reports which had been proven false by the Police and DSS were resurfacing again. According to the statement, the report which first surfaced in December 2015 was the handiwork of those who only wanted to rub the name of the President of the Senate in the mud. Onogu therefore urged Nigerians to disregard the report wherever it is published as it is untrue. “We still insist that he has nothing to do with the money and we challenge those still rehashing the stale and fake news to avail themselves of the reports of the police and the DSS on the matter to avoid misleading members of the public unnecessarily. The report remains a lie which must be disregarded by the public, and should it be recirculated tomorrow, it will still remain a lie. At best we count this unwarranted fake report as part of the April fool ritual. But the public deserves a better deal from its sponsors and purveyors. 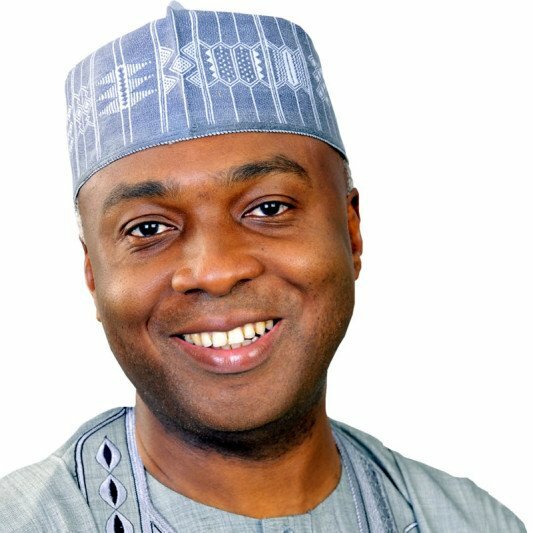 The content and intention of the fake report is nothing but baseless allegations emanating from the infantile minds of unreasonable interlopers, hell bent on rubbing mud on the reputation of a distinguished Nigerian, who is today in his capacity as the Senate President, working assiduously with critical stakeholders to stabilise and grow our economy. Enough is enough,” Onogu said. 0 Response to "Saraki Cleared of Ownership of N310m Allegedly Stolen from his House"